At Royal Adhesive Industries we are always looking to develop new products to meet future demands. We have some exciting new products launching, and recently we’ve been doing some personal development and are proud to reveal our brand new look and website. We hope you’ll love our new look as much as we do. Fast Post Anchor is an award-winning and convenient alternative to concrete for setting fence posts, mailboxes, signs, and much more. It doesn’t require water and expands immediately after mixing, setting posts in minutes. 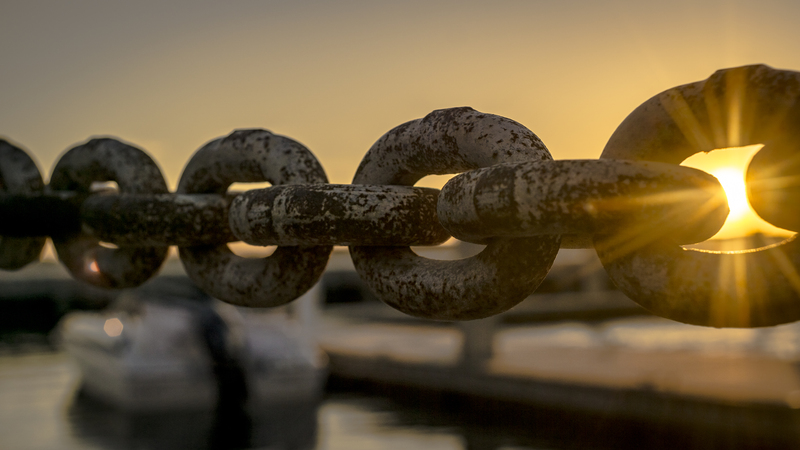 The expanding nature of Fast Post Anchor means one bag will go a lot longer than if you were using concrete, and it becomes waterproof after fully cured, helping protect the post against rotting and corrosion. The High Strength Construction Adhesive was designed for both indoor and outdoor use, is waterproof, cures across a wide temperature range, and remains strong at low temperatures. It has a very strong adhesion to common construction materials and is a rapid curing adhesive that cures using the ambient moisture. 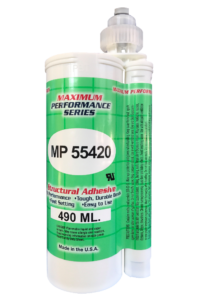 High performance, two-part structural adhesives which have been developed to bond to a wide collection of plastics, metals, and composite assemblies. They are able to withstand extreme changes in temperature, and are resistant to a broad selection of chemicals and environmental conditions, making the Methacrylate Structural Adhesives ideal for transport manufacturing and signage industries. 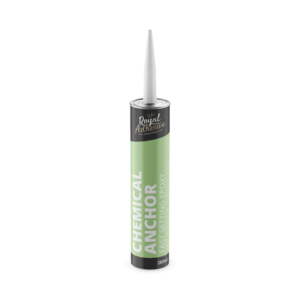 Royal Adhesives Fast Setting Anchoring Epoxy is a two-component adhesive designed for anchoring bolts, threaded rods, and rebar dowels into concrete. The product can also be used for bonding building materials and has a non-sag nature, allowing for its use on horizontal and vertical applications. It is fast setting and ideal for stopping air and water leaks due to its moisture-resistant nature. The Hardman Double/Bubble epoxies are strong, versatile, and cost-efficient adhesives. They do not contain any solvents, will not shrink, and are effective over a wide range of temperatures for bonding to metal, glass, ceramics, wood, concrete, and most hard plastics. The epoxies are conveniently packaged in 3.5 or 4-gram job lots to reduce unnecessary wastage. Royal adhesive Industries strives to manufacture and supply products to meet market needs.